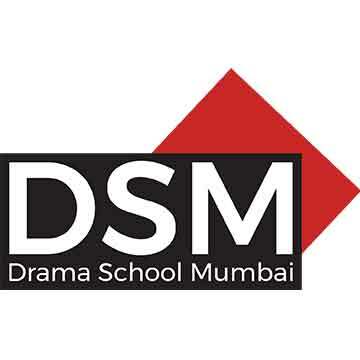 The new year at DSM always starts with Design. The students experience a fascinating transition from actor-focused training to larger elements of production. This year we had Ishita Doshi and Neeraja Patwardhan come together for the first time as design faculty. They taught costume and set design to the 18 students of Batch 2018-19. 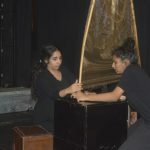 Neeraja Patwardhan finished her Masters in Theatre from Lalit Kala Kendra, Pune. She also had an MFA in Theatre Design, with a focus on Costumes, from the University of Georgia. She has designed costumes for several theatre productions and movies like Nadi Vahate and Shwaas. Ishita Doshi has degrees in psychology and Fashion Designing. She works regularly with theatre companies AmyGo and Swangwale. Recently, she has also been working as an art director for short films, music videos and television adverts. After the recently concluded design showcase, we caught up with the two design experts to chat about their work and teaching. Read on to know more about the impact of design and costuming on an actor’s art. Q. What got you interested in design? NP: Draping a piece of cloth in different ways. Mostly mom’s sarees. I would do that to make some characters and then put together a skit. This has been my favourite activity when I was a kid. Costume design was an obvious career choice after that. ID: I was always interested in woodworking, fine art and fabrication as a child. Set-designing interests me because it makes me study and research various subjects. Then I get to create a design based on it. I also get to work with directors and production crews to create the appearance and atmosphere of a specific time, place or location according to the script. I want to see the world a director wants to create. Sometimes even before the director can see it. That is my drive. Q. Tell us a little bit about your training in this area. NP: I did my MA in Theatre from Lalit Kala Kendra (Savitribai Phule Pune University). A few years after I went to US, to the University of Georgia for an MFA in Theatre Design with a Costume Focus. ID: It was mainly on-the-job training for me. I started doing freelance projects early on, in college itself. By creating sets for low budget projects, I learned about building materials and techniques. For five years I worked with Amatya Goradia at AmyGo Productions. He has been a continuous source of support for me. Q. What are some of the ideas/concepts you are focusing on during your sessions in DSM’s design module? 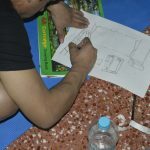 – Detailed process of costume designing from script to finished costume. With this, there was an added emphasis on the collaboration with a director as well as the actors. ID: I am focusing on concepts like scaling and sizing stagecraft and the placement of sets. Also it is really important to understand what inspired a designer to create a particular design. The importance of each set element in context of the play is one of the key areas as well. Q. Why should actors and performers should be aware of or train in costuming, production and set design? NP: Design creates a universe and actors bring it to life. It is very important that both work together to give the audience a complete experience. I have observed that understanding costume design for a particular character helps the actor perform better. 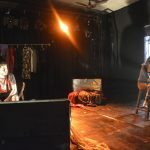 ID: The set itself becomes an important character of the play. This is why I believe actors should not just be aware of but also train in set-design. Stagecraft is this silent speech, which shouts out so much about a play just visually. According to me, it is important for performers to blend themselves and their characters into the stagecraft and stage effects in such a way that the viewer can feel a sense of oneness. Q. If there were 3 things you could recommend to any theatre production, three key things that they should consider when designing their production what would they be? 1. The script and the director’s vision are most important things. Designers should not break away from them. 2. Pay attention to details. Audiences may never read them but they can certainly feel them. Appropriate, accurate details heighten the experience of a performance. 3. Theatre is not the display of designs. Design cannot overpower the piece. 1. Set design is a process. The designer needs to study the script and discuss ideas with directors, writers and others. Designers should not be brought in just to execute a certain setup that the director and/or writer have already visualised. 2. Design needs time. Don’t push for compromises and makeshift creations. That has no sense of satisfaction. 3. Set a design budget, even if it is a small one. In fact, the smaller the budget, the more creative the set designer will need to be. And that is why you must always, pay the designer.